I have a case that shows up on the 'Cases in Need of Departure Notice' report in ICOTS, but the approved reporting instructions were withdrawn. How can I get this case removed? This is one of several known issues with the 'Cases in Need of Departure Notice' report. ICOTS mistakenly identifies any cases that used to have approved reporting instructions as needing an NOD, even if the RFRI-Reply was withdrawn. This affects standard reporting instructions and return to sending state reporting instructions. The problem has ben identified and documented by Appriss. 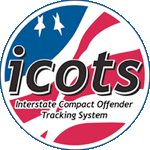 It will be addressed in an upcoming ICOTS release. As a general rule, when reviewing the 'Cases in Need of Departure Notice' report, you can ignore any cases that have blank transmitted dates for both the R2RFRI and TREP. Appriss has identified several more reasons for cases showing up incorrectly on the 'Cases in Need of Departure Notice' report. These causes will also be addressed in the same bug/issue fix in a future ICOTS release. The important thing to note is that cases missing both the R2RFRI and TREP transmit dates can still be ignored on the report.